Microsoft OneNote is an easy-to-use note taking and information management program. It improves workflow and daily organization. 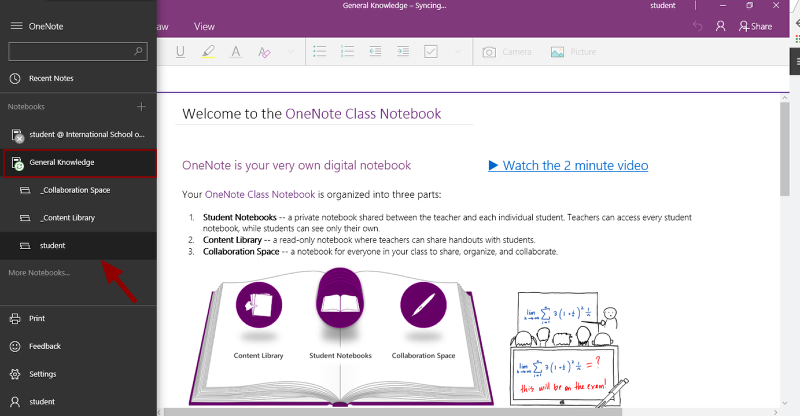 Now you can access the OneNote notebooks created by your instructors in your Teamie classrooms. As a learner, you will get added to a OneNote notebook only when you access the OneNote tab of the OneNote enable classroom. 1. Click the required classroom in which OneNote is enabled. 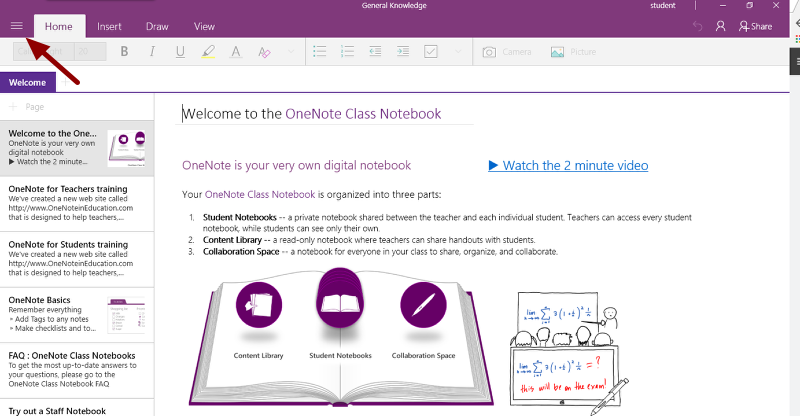 You can check with your instructor to know the classroom(s) in which OneNote is enabled. 3. 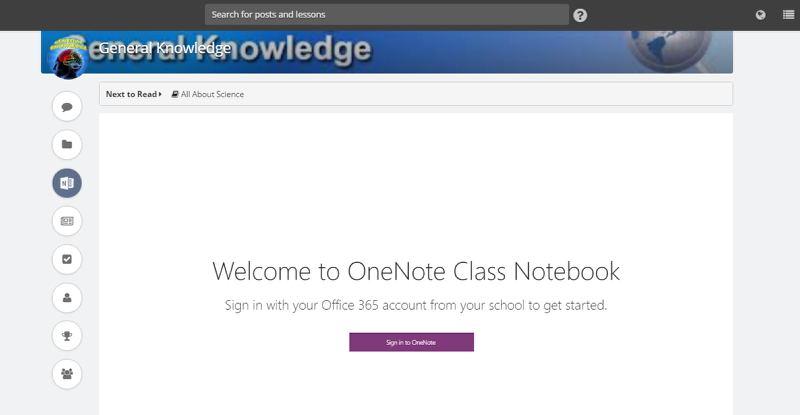 If you are not already logged in to OneNote, a sign in button will be shown. Proceed to login to OneNote. 4. Once you are logged in, the OneNote notebook permissions will be checked for your account. 1. 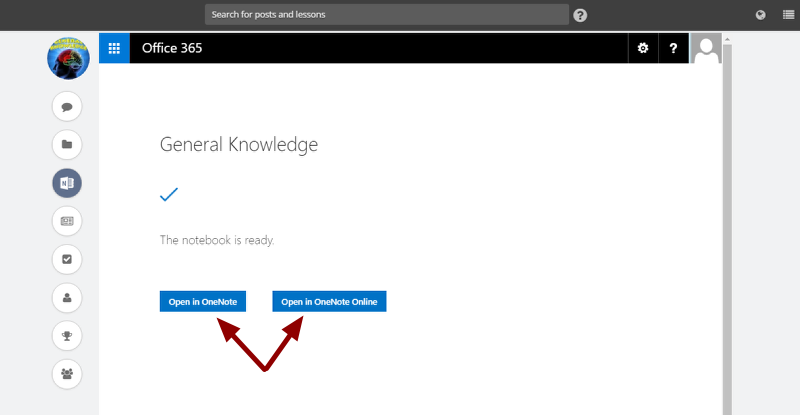 After you click Open in OneNote Online, the OneNote notebook will open up in a new tab. You will be able to see the notebook name at the top of the notebook. 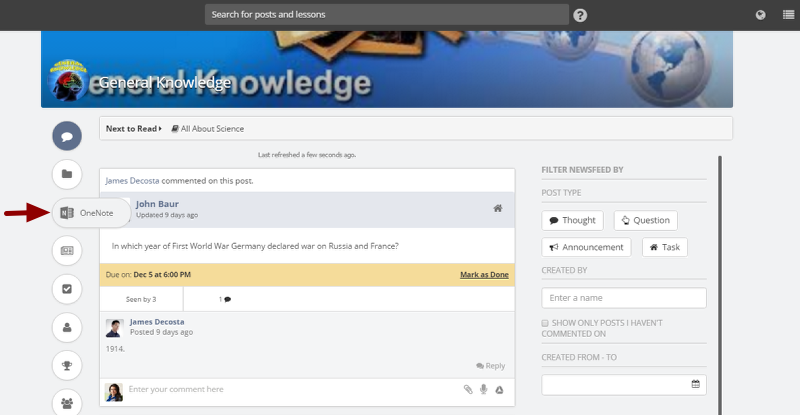 Click student category to access the section in which you can add pages and notes. 2. The sections you see under the student category are added by your instructors. You can add pages and notes in these sections. Click a section to open it. 3. Add notes to the pages in that section. Note: You can click + Page to add pages in a section. 5. You will see that the notebook is already shared with your instructor who has created the notebook. When instructor will access the notebook, he/she will be able to view your notes in the notebook. 1. After you click Open in OneNote, the OneNote desktop app will open. You will be able to see the notebook name at the top of the notebook. Click the sidebar. Note: In case you don't have the OneNote desktop app installed, you can install it from this link. 2. You will be able to see the notebook created by your instructor. Click the student category to access the section in which you can add pages and notes. 3. The sections you see as tabs are added by your instructors. You can add pages and notes in these sections. Click a section to open it and add notes to its pages. 4. The notebook will already be shared with your instructor who has created the notebook. When the instructor accesses the notebook, he/she will be able to view your notes in the notebook.